To celebrate its 40th birthday, Aqualisa is giving installers the chance to win a new Renault Kangoo Business van worth nearly £15,000. Easy to enter, installers simply register their purchase online of one of the qualifying products from Aqualisa’s smart shower range; this includes Aqualisa QTM which allows users to personalise their shower by controlling the flow, outlet and temperature, the renowned QuartzTM with thermostatically blended water temperatures – controlled at the touch of the button, the easy to install VisageTM that utilises smart diverter technology and the contemporary ZuriTM with simple user interface design. 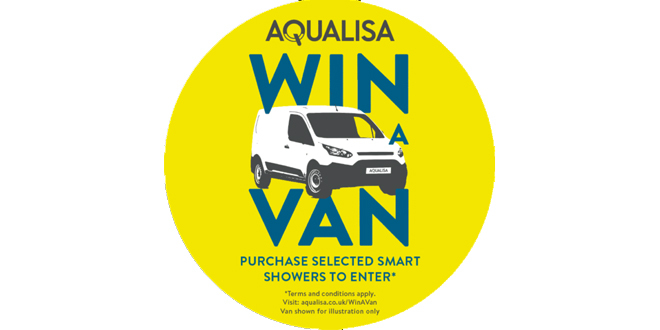 Aqualisa’s Win a Van promotion is open until the 31st March 2018.